(CNSNews.com) - The $18.477 billion in tax revenues the federal government collected on Monday, according to the Daily Treasury Statement, is more than enough to cover the $18 billion that President Donald Trump is requesting in his new budget proposal for building a wall along the U.S-Mexico border. “As the President has said, a nation without borders is not a nation at all,” Office of Management and Budget Director Mick Mulvaney said in written testimony presented to the Senate Budget Committee on Tuesday. The Daily Treasury Statement, which is published the following afternoon for each day the federal government is open for business, summarizes the receipts and expenditures the government took in and sent out on the day it covers. 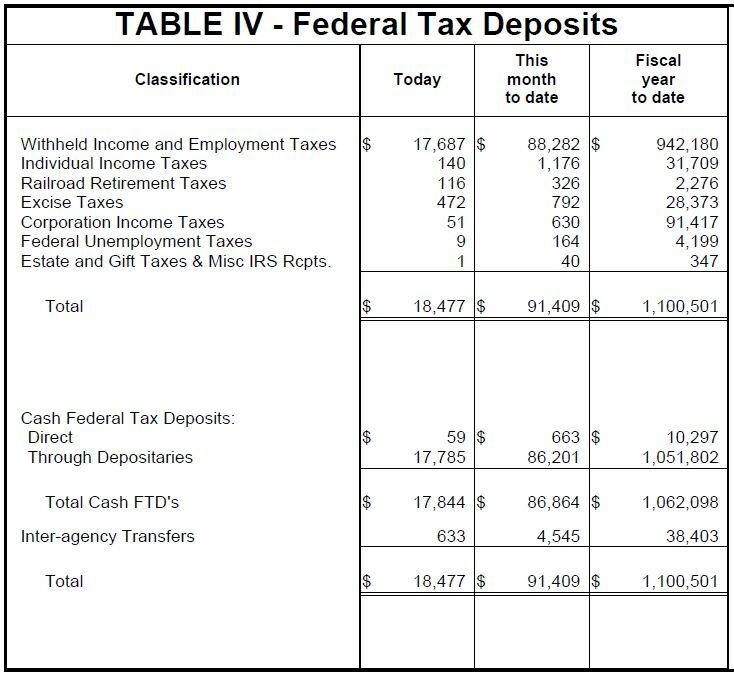 The Daily Treasury Statement for Monday, Feb. 12, shows that the Treasury had $18,477,000,000 in total tax deposits that day. Thus, Monday’s one-day federal tax revenue would cover the full cost of Trump’s $18 billion border wall with $477,000,000 left over.